I chat with some of my stamping friends quite a bit and one thing that always comes up is how we have stuff we've never used or stuff we haven't used in a long time. My friend Holly and I wanted to dedicate a day to using up some of this stuff, but for months we only talked about it. Today we start! We recruited our friend Lisa to join us so she can use her stuff too. We are calling it Use Your Stuff Monday and hope to use some of our unloved and neglected stamping stuff before we buy more. For my card this week I had two Lawn Fawn goodies from Christmas that I hadn't used yet. The Stitched Leaves Die and Violet's ABCs. 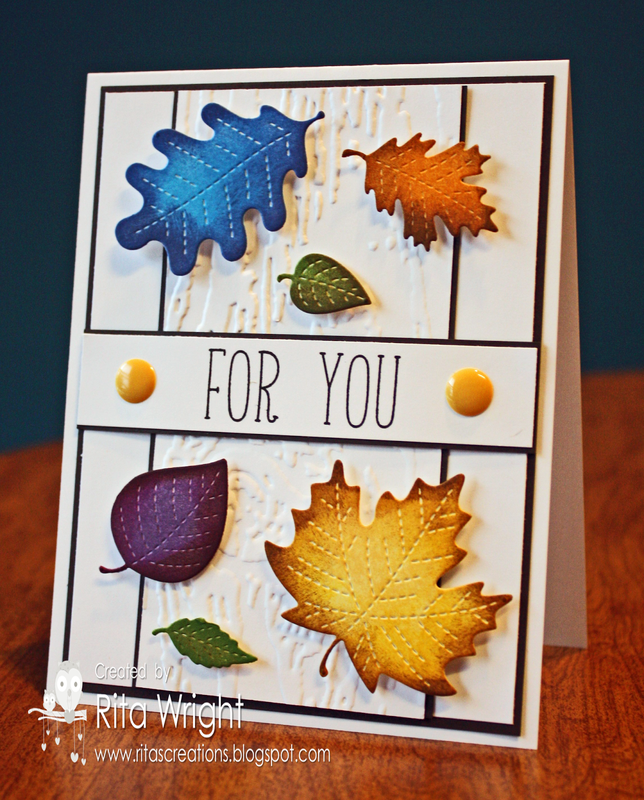 I used some distress inks to color my leaves and then left the card simple so that they could really stand out. 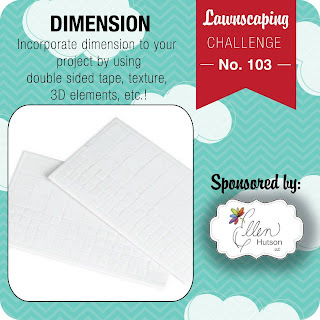 I popped them up to add some dimension and play along with the current Lawnscaping challenge. Mom has been very patient and is working on teaching Laila a lot of new things. 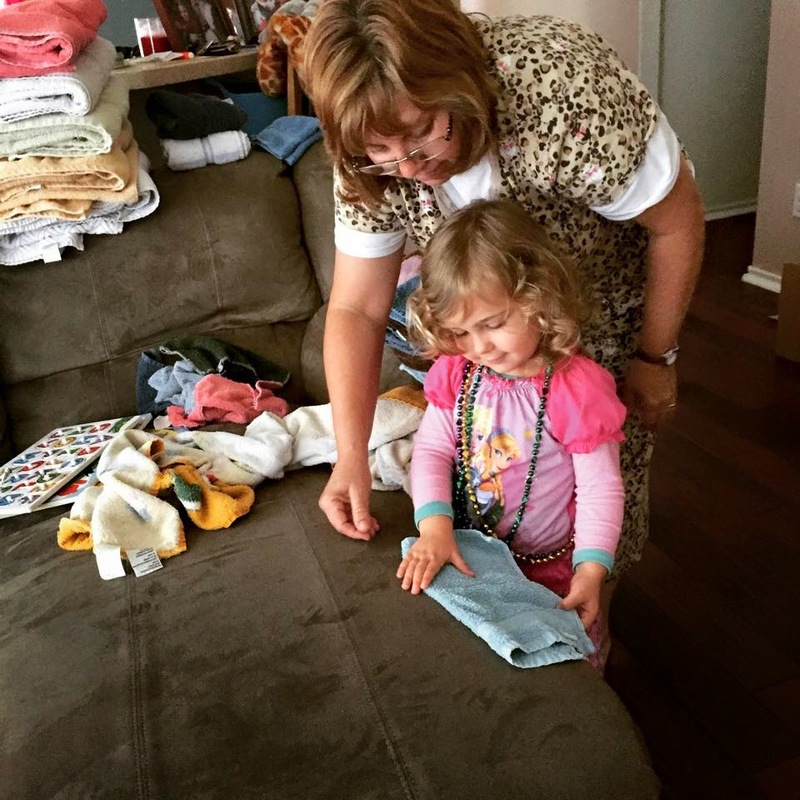 Laundry folding, using the potty, cleaning up her toys... it's nice! :) We are sure going to miss her on Wednesday when she leaves. Sad face. I love those colorful leaves! You sponge so well!